Skycat XL series offers amazing weight to performance ratio for heavy drones. XL84 and XL96 are shipped within 14 days from order. XL120 and XL192 is shipped within 3-5 weeks from order. 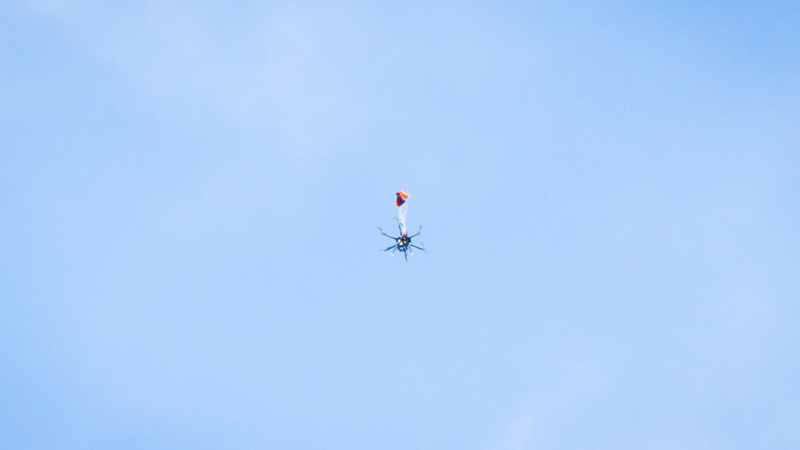 XL systems are designed to offer best possible drag to weight ratio for large UAVs. The main parachute container unfolds completely flat, releasing the parachute in all orientations, even upside down. 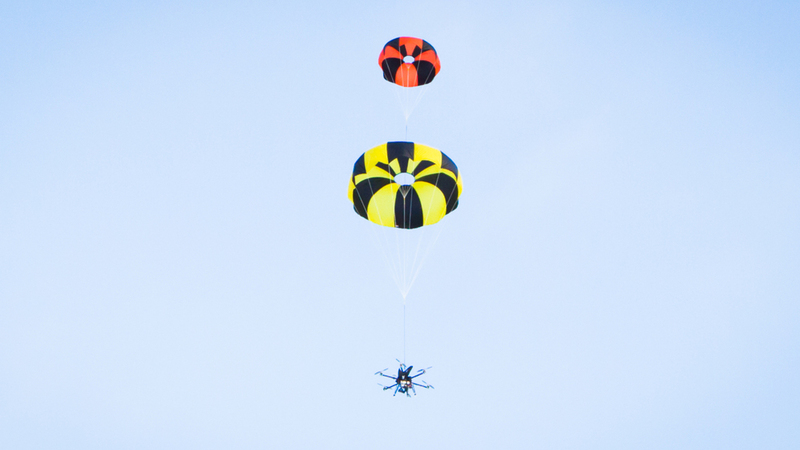 The powerful pilot parachute turns the UAV upright and starts to slow down the descent, while main parachute is deploying. Eject radio(s): You can connect to your aircraft's receiver or use a dedicated radio. Launcher mount: Copter-specific or generic mount for X55 pilot parachute launcher. You can also make your own. – see Store for available mounts. Extra triggers for each additional radio or eject command source, such as autopilot or camera operator radio. * ) As tested over numerous test cycles in Finland's varying weather. Real-life deploy distances are subject to wind speed, wind direction, quality of chute folding, and other irregularities of the particular situation. Pilot chute starts effective deceleration within 15 meters from launch altitude. Different manufacturers declare parachute sizes based on various measurements, for example 60" and 4 sqm. Similar values might not result in similar drag coefficient. A parachute with 60 inch deployed diameter will have a better drag coefficient than a competitor with 60 inch material diameter. We select our parachutes for best available drag-to-weight ratio for best real-life performance.